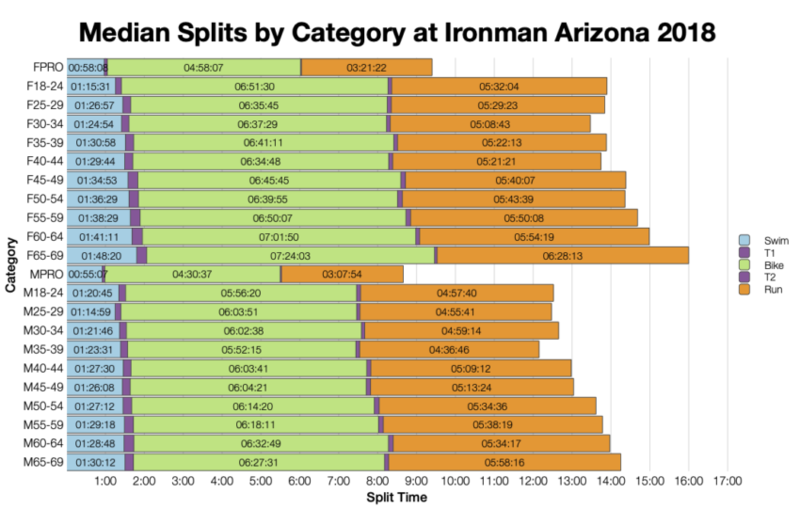 Ironman Arizona is the first of three Ironman races I’ll be analysing this week. Arizona draws a large field with 2,500 athletes making the start line to compete for 40 Ironman World Championship slots. This year’s race looks to have trended slightly slower than usual. 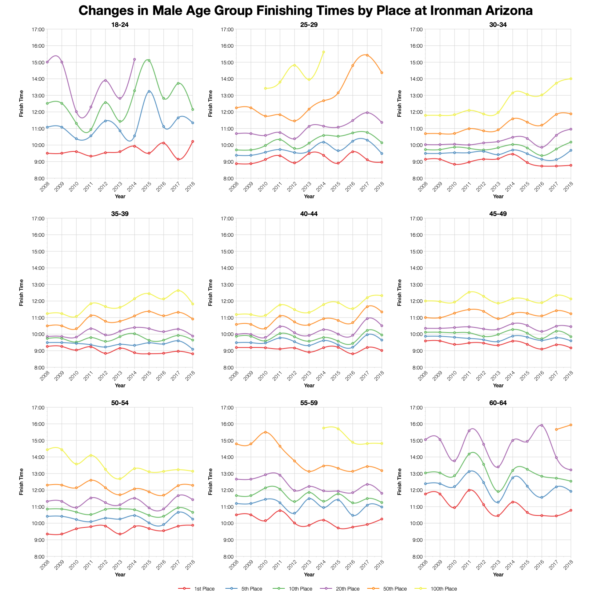 Distributions of age group splits show slower splits at this year’s race when compared with the previous decade of racing. As a consequence the overall distribution also trends slower across the field. 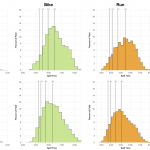 Swim and run times are most clearly slower, while the bike splits don’t deviate by much. 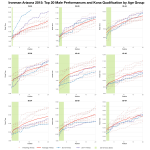 As is often the case the impact is most noticeable at the median and less pronounced for the top 5% of age groupers. DNF numbers for this years race fall inline with previous years, sitting comfortably in the middle of the range shown. As always it needs to be remembered that prior to 2016 athlete counts include those that did not start. 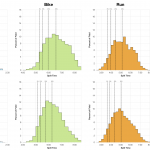 Comparison of individual age group medians shows a similar pattern to the distributions with slower medians splits across most age groups. Again, it’s during the swim and run that this difference is most notable. As with most North American races the majority of the field is from the US, but there’s a small spread from other nations. Kona slots primarily stay in the US. 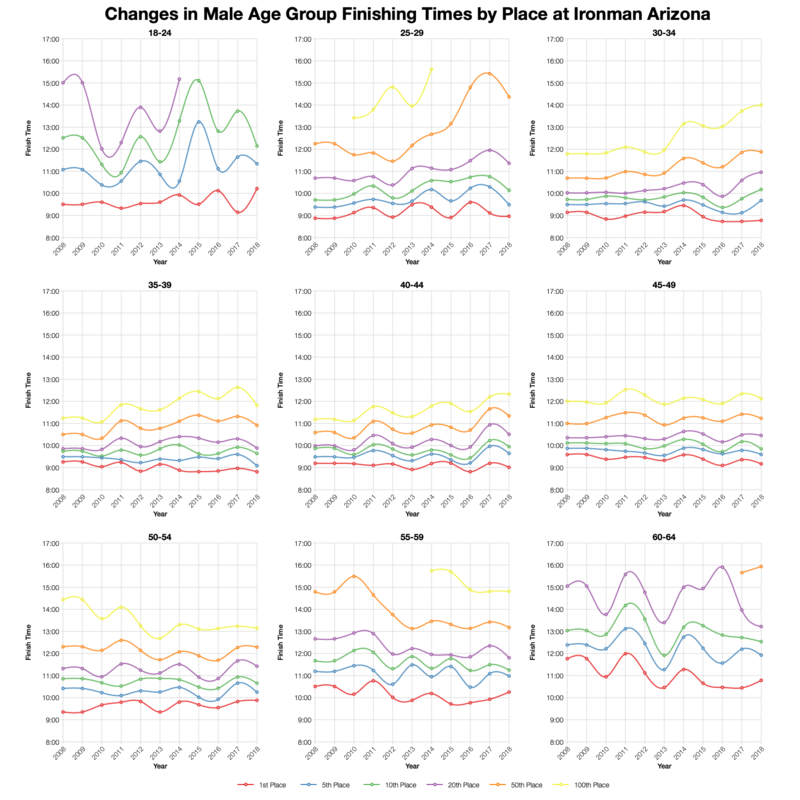 Tracking times for specific age group positions over a decade shows that times varied depending on where you are in the field. 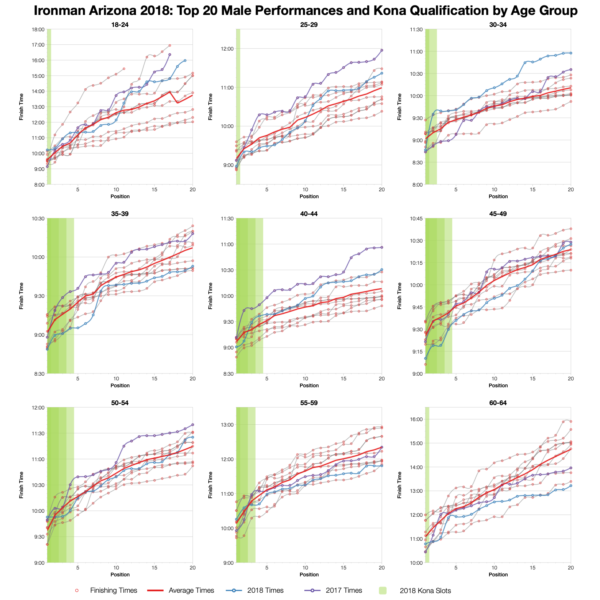 For most age groups the front athletes aren’t too far off typical times for the course. Further back, towards the median the slower times are more obvious. It’s worth noting that while this trends slower than the amalgamated decade of results, the race was faster than in 2017. 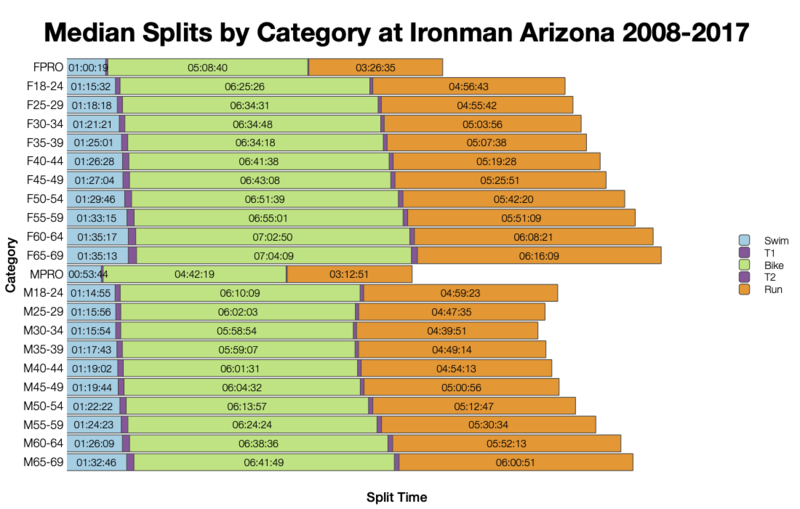 I’ve estimated the Kona slot allocation was I’ve yet to see a copy of the official list. Exact slot numbers may vary and with that final qualifier times for some age groups. Roll downs aren’t factored in to these calculations. You can compare with other races on my Kona qualification page. 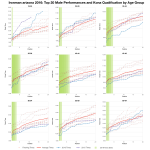 Finally, examining the top twenty results within each age group we see times trend closer to the averages, particularly when in the top 5. At the front of the race it wasn’t a fast year, but it also wasn’t as slow as further back in the field. 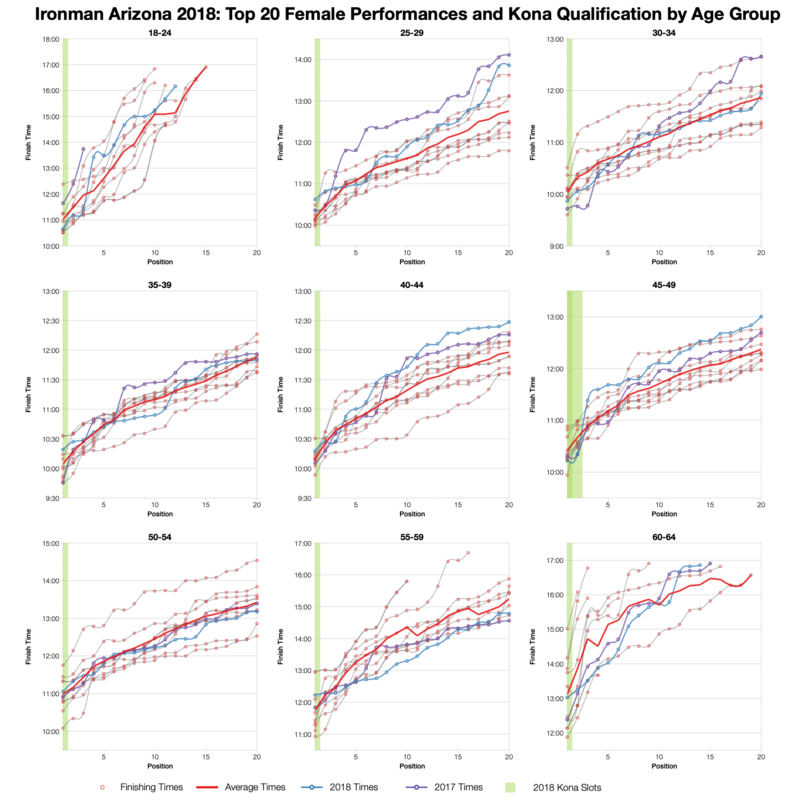 Qualification times for most age groups were similar to previous years. You can access a spreadsheet of the full results from Ironman Arizona 2018 on my Google Drive.